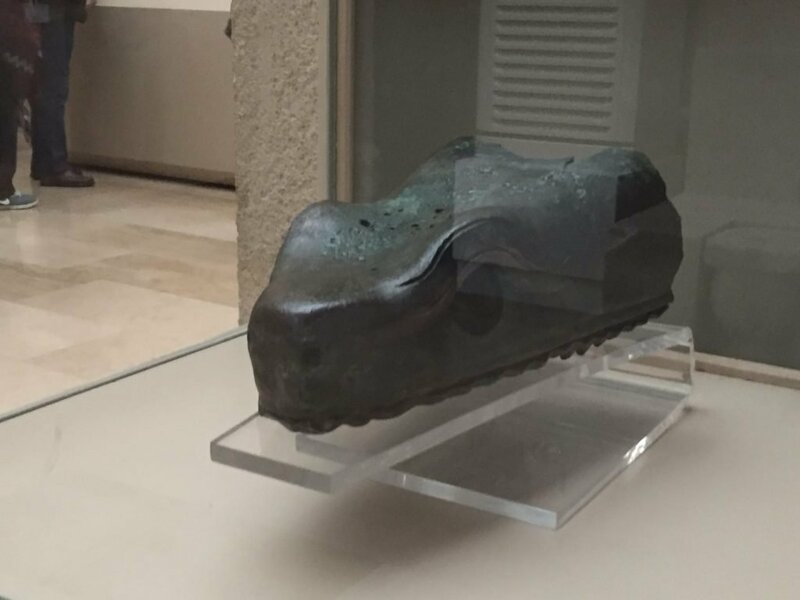 Horse racing was a hugely popular activity for the Romans, both in Rome and in Constantinople. In the 4th century Constantine the Great built the Hippodrome of Constantinople to hold as many as 100,000 spectators. The building itself survived into the Ottoman period that began in 1453, but the stadium became increasingly derelict following the depredations of the 4th Crusade in 1204. Aside from horse racing, the Hippodrome was the site of many other festive and not so festive events in Byzantine history. The famous Nika rebellion occurred over a week in January 532 during the reign of Justinian I and his wife, Theodora. Justinian finally ended the rebellion when he sent Imperial troops led by his great general, Belisarius, into the Hippodrome and killed an estimated 30,000 rioters. Another infamously bloody event occurred 653 years later when Andronikos I Comnenus was deposed by city mobs who had become thoroughly disgusted by this cruel usurper and murderer. After the mob had inflicted various mutilations on him, he was dragged to the Hippodrome, hung upside down, stabbed repeatedly before the mob literally tore his body to pieces. 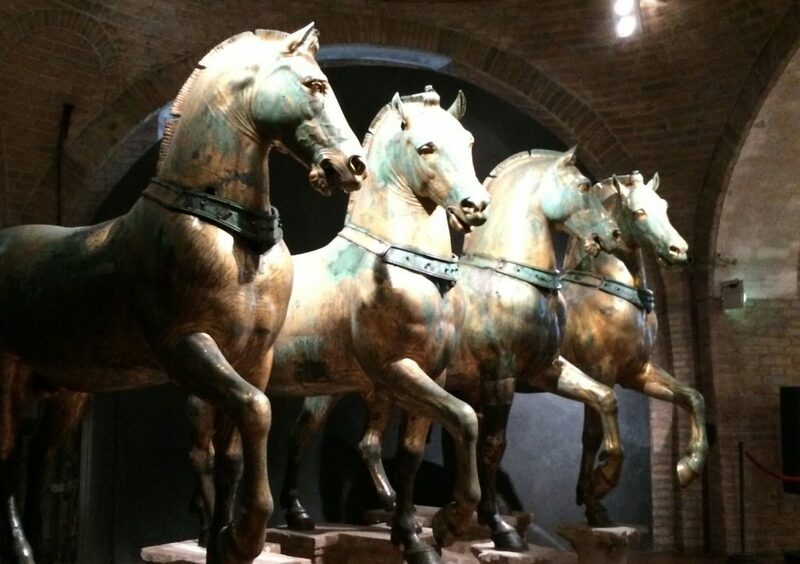 Above is a photo I took of the famous horses of St. Mark’s in Venice, which stood atop the carceres of the Hippodrome for over 700 years before they were taken to Venice during the 4th Crusade. 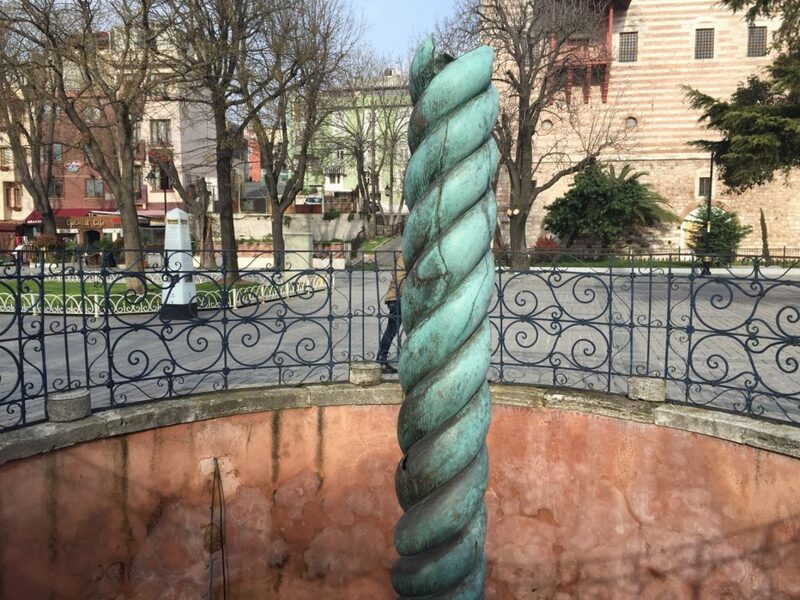 Below are photos I took of the Column of the Serpent which still stands in the same spot in the spina of the Hippodrome where it has been for over 1,000 years, and the Serpent’s head from the column which was knocked off by a drunken Janissary and now resides in the Istanbul Archeological Museum. 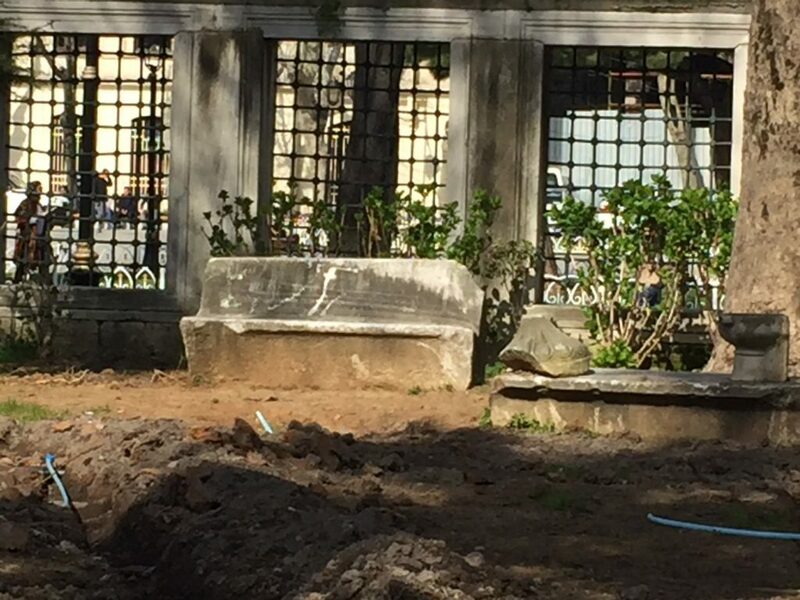 After visiting the Blue Mosque, our guide pointed out this ancient marble bench sitting outside in the mosque’s garden which he said came from the Hippodrome. 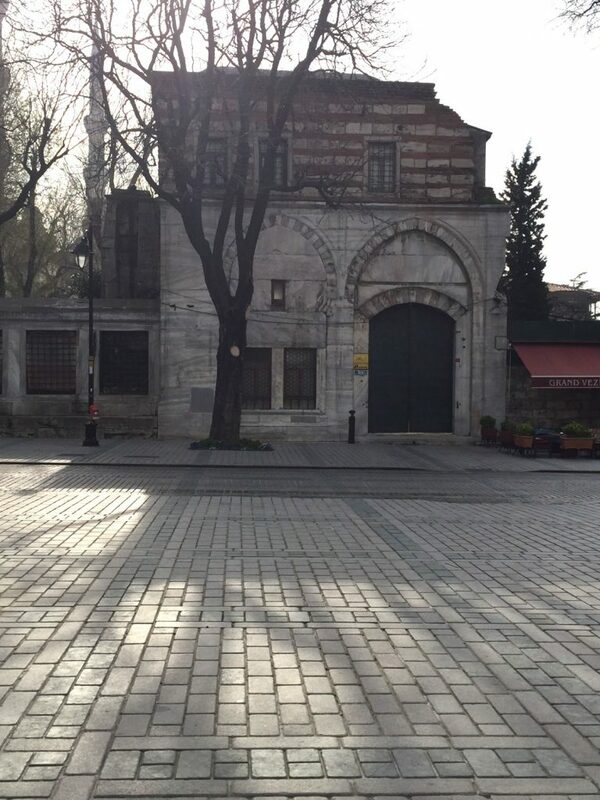 The guidebooks will tell you that some of the building materials for the Blue Mosque came from the Hippodrome. I asked our guide if he knew where the Kathisma, the private viewing section for the Imperial family and their guests, had stood. I don’t know if he was correct, but he pointed out this building which looked to be in about the right spot. Obviously part of the building is more modern, but on the top you can see the distinctive striping in the stonework/brick that can be found in other remains of the Hippodrome. Towards the end of our stay we visited the Turkish & Islamic Arts Museum, which was built across the square from the Blue Mosque and over some of the stands of the Hippodrome. 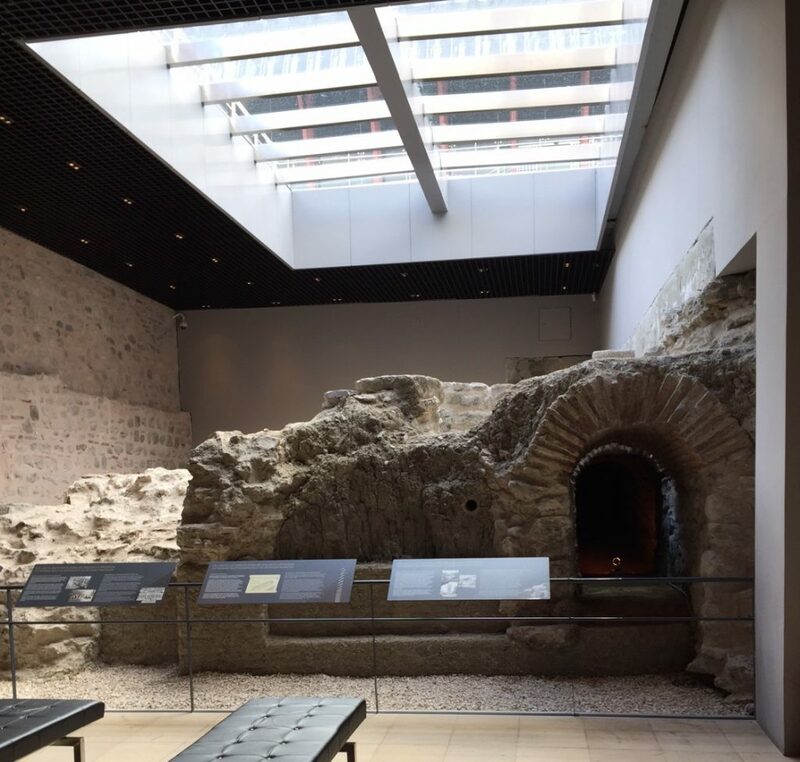 In the lowest level of this museum you can find these remnants of the Hippodrome. 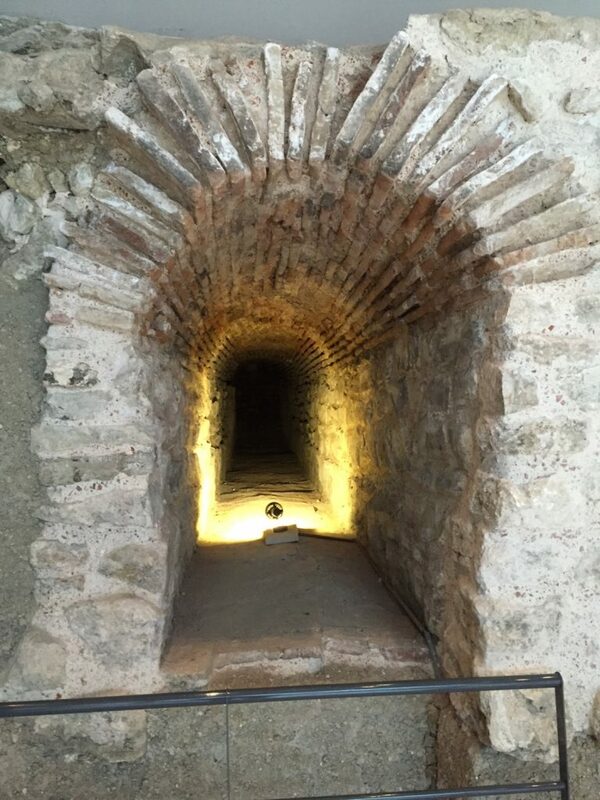 First, a passageway in the Hippodrome. Then another passageway with the remains of the stands. The designer of the Byzantium 1200 website has done some amazing recreations of Byzantine sites, with the Hippodrome being one of the more detailed since it was often written about. You can also follow Byzantium 1200 on Twitter and Youtube.